Faced with a mixed bag of an agenda that included a name change to the city’s major thoroughfare, a potential ban on plastic water bottles, and a 40 percent hike to the hotel bed tax, the City Council Tuesday night mostly brokered compromise. 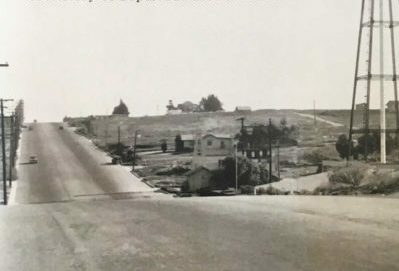 A proposal to change Sepulveda Boulevard to Pacific Coast Highway in order to maintain consistency with nearby cities and add prestige to business addresses had been discussed intermittently for several months, but took very little time for the council to officially reject. Separate surveys of businesses along Sepulveda (54 percent rejected it, although only 66 of 500 businesses responded to a mailed survey), and of Manhattan Beach residents (65 percent favored it, although only 537 people voted, all via the city website) showed more than anything else an overall lack of interest in the proposal. The single-use plastic water bottle ban was a lengthier and less resolved discussion, which also included debate over bans of mylar and latex balloons, polystyrene meat trays, and creating an exception to the city’s ban on plastic straws for disabled people. All the issues were brought to council for discussion by the city’s environmental programs manager, Dana Murray, who presented an array of options ranging from total bans to just banning uses at city-permitted events. A handful of residents fought the plastic water bottle ban, noting their use at such events as the Pier-to-Pier walk and the Hometown Fair both served hydration and fundraising purposes. A representative from the Grocer’s Association, Jessica Mause, argued that biodegradable alternatives to polystyrene meat trays still ended up in landfills. Craig Cadwallader, president of the local Surfrider chapter, said that plastic recycling across the United States is “tanking,” citing studies that showed a decline from 9 percent of all plastics being recycled in 2015 to only 2.9 percent last year. Councilwoman Amy Howorth noted that recycling is about to greatly worsen because China is no longer accepting American recyclable plastics. She suggested perhaps beginning with a ban at city-permitted events and ramping up to a citywide ban. Councilmember David Lesser praised the city’s leadership in environmental stewardship, noting in particular how the city’s successful fight all the way to the California Supreme Court in support of its pioneering plastic bag ban influenced cities across the nation. But Lesser sought compromise, crafting a motion that moved towards bans on items in which there was consensus — specifically, banning mylar balloon sales within the city, and their use at beaches and parks, while also creating an exemption in plastic straw use for disabled people. He requested more information on latex balloons, meat trays, and plastic water bottle bans, and asked staff to bring those issues back for discussion as soon as possible. A proposal to send an increase of the city’s hotel bed tax, officially known as a Transient Occupancy Tax (TOT), to a citywide vote was met by strenuous opposition from many of the city’s dozen hotel operators. Most argued that the ballot proposal, which called for increasing the TOT from 10 percent “up to 14 percent” in order to fund essential city services, was an excessively steep increase and could put local hotels at a competitive disadvantage, reducing occupancy and thereby hurting the entire local economy. Napolitano crafted a compromise in which no increase would occur in the first year after the ballot measure, which will go to voters in March, and then TOT would go to 12 percent. The council could then visit future increases without the expensive recourse (the upcoming election will cost the city $300,000) of doing another ballot measure. The compromise motion passed unanimously.